Our latest hiking guide – Remember to Breathe – Trekking to Everest Base camp has just been released and it is a ripper. 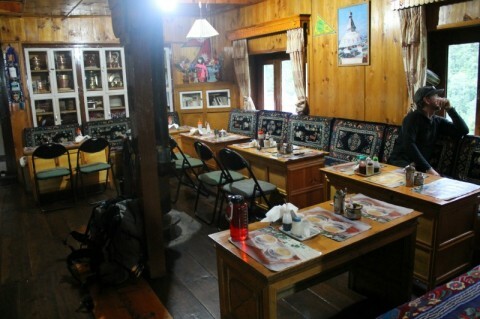 Written by Jay Reilly ,it draws on his many years experience of leading guided treks and mountaineering trips in Nepal. We believe he has created one of the best and most independent guides around to help you plan your trip to Base Camp. It is an easy to read and really helpful eBook . 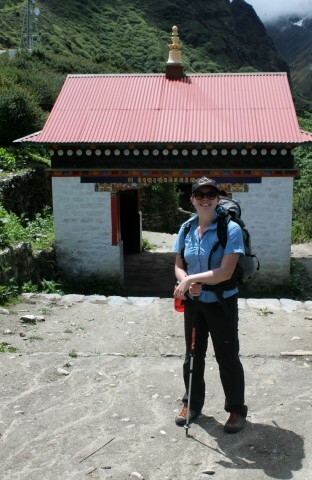 Last year Jay took our daughter Clare (they just happen to be married) to Nepal and trekked to Everest Base Camp. 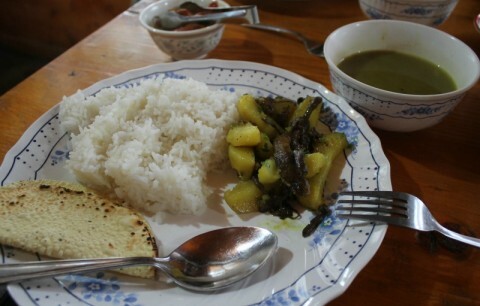 He wanted her to experience his other great love, Nepal and the Nepalese people. 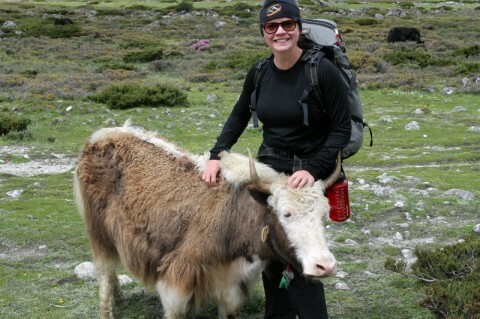 We asked Clare to share her top 10 highlights from Nepal and her trip to Everest Base Camp. The last time I went in a small plane, my grandpa was flying it. I almost don’t remember it. This was a completely different experience. Going through the domestic airport in Nepal, the flight was never delayed, it just wasn’t going and then it was. Once we’d finally boarded, Jay ushered me to the left side of the plane, for the best views. 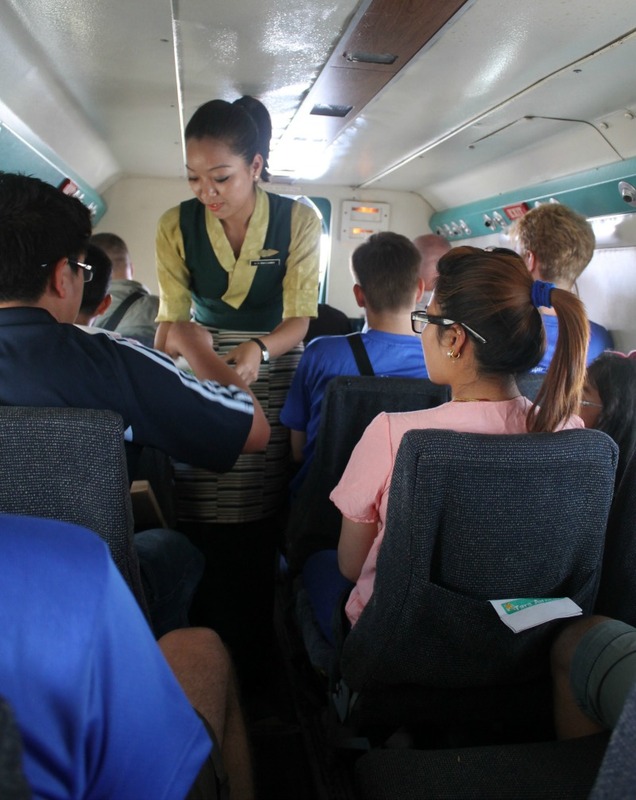 Throughout the 40 minute flight, the views were spectacular, the sound was deafening, and the fact that there was an air hostess on an 18 seater plane was endlessly entertaining. 2. The first view of Mount Everest. In the off season there’s not a lot to do on an acclimatisation day. Most of the bars, cafes and shops in Namche Bazaar were closed, so we decided to take a bit of a walk along the track that we’d be following the next day (between reading a whole book and napping). Not too far out of Namche we rounded a corner and the clouds cleared and out popped the tallest mountain in the world. We sat in silence for some time while I absorbed the beauty and Jay reflected on his many years working in the area. This was by far my most challenging day on the trek. We started the day by going down a lot, and then once we were at the valley floor, we had to walk up again, FAR. There was one point where Jay told me to stop, that I needed a break, but my legs physically couldn’t stop walking. Getting to the top of this hill was a huge achievement. This is an incredibly eerie noise. 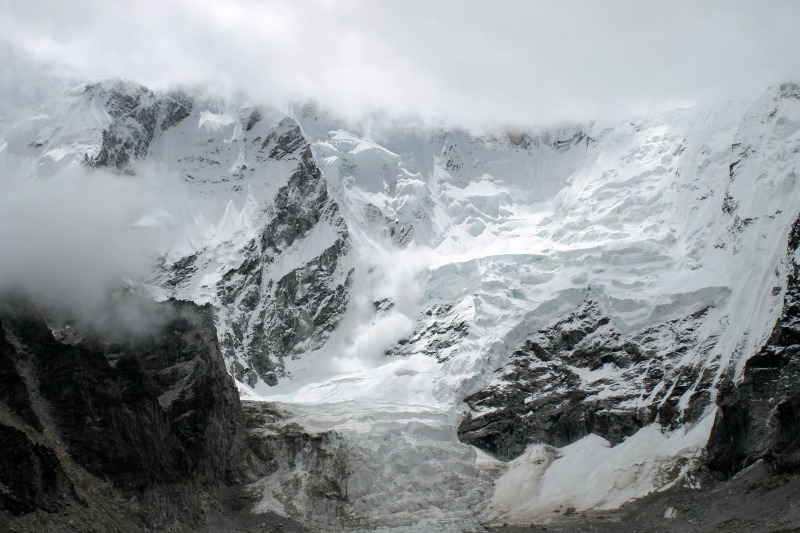 As it was the off season, there were only about 10 of us walking on our days, so essentially the trek was silent and all around you, you could hear the tumbling of massive chunks of snow and ice. Honestly, getting to base camp in the off season, is a bit of a non event. There’s a rock stating that you made it, but apart from that it’s just a rocky wasteland. 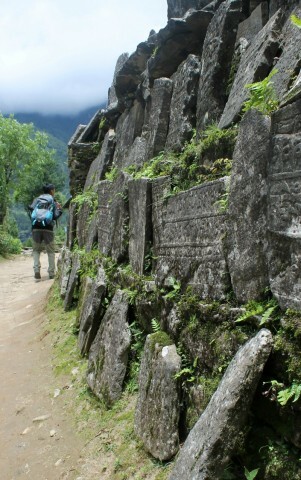 But of course, this is the goal of the trek, so getting there was very exciting. 6. Playing with the local animals. All of the animals on this trek decided that they liked me. I had dogs following, zopkio walking up close and a very forward yak decided he wanted a scratch behind his ears. A passion of mine is living sustainably, and growing as much of your own food as you can. I understand that in the Khumbu Valley it’s more of a necessity than it is here, but it was so wonderful to be walking along the track and see the amazing quantities of food that was being grown on all different types of terrain. 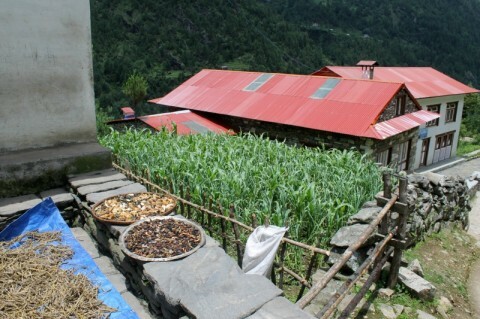 Each day I loved arriving to the tea-house. Always so warmly welcomed into peoples lives and their homes. Being the off season, some people were, I imagine, hoping for holidays, but still we were welcomed with open arms. Everywhere we turned there were amazing paintings, carvings (mani stones), memorials and beautiful man made works of art amongst the stunning scenery. I was in awe of the work put into the carvings, that had to be carried right up to the head of the Khumbu Valley and the paintings that had so much time and effort gone into them. The menu’s in the tea houses were pretty similar from tea house to tea house and had been westernised quite a bit, but I loved snacking on boiled potatoes in the afternoon, eating the dahl baht, and trying out their pancakes. 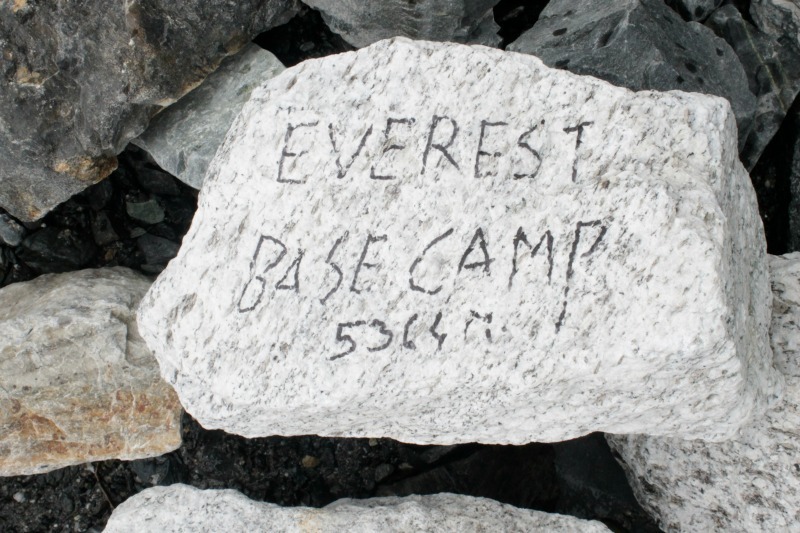 So that’s it, Clare’s top 10 highlights on her trek to Everest Base camp. Thanks to her for sharing! If you want to learn more about trekking to Everest Base camp either independently, or get some advice on what to look for before booking a guided trip, check out our guide, Remember to Breathe. It draws on Jay’s years of experience living and working in Nepal, and as you can see by this article, it is very up to date and current information. Clare Reilly writes about her love of self sufficiency, eating local, travelling, cooking and getting outdoors at The Life of Clare. Well worth a visit. Thank you for sending me the blog on Mount Everest. I truly enjoyed it. I wll get there someday. I have Stage 4 lymphoma so it’s not looking real good right now. But never fear Jon is here!! No worries Jon, hope you make if one day. You have to have dreams!